Why is CPRS Right for You? Joint replacement or joint arthroplasty is a common orthopedic surgery. Replacements are indicated after conservative treatment for disease such as osteoarthritis (OS), degenerative joint disease (DJD), or osteonecrosis has not been successful at returning a patient to their desired functional ability or after traumatic event such as a car accident or a fall. CPRS Opens 28th location in Lititz! CPRS Physical Therapy opens new office in Lititz on September 10, 2018. CPRS named 2018 "Family Favorite Physical Therapist"
Central Penn Parent "Family Favorites" names CPRS as the "Family Favorite Physical Therapist"
CPRS Physical Therapy was named as the 2018 Business Partner of the Year by Central Penn College! CPRS Athletic Trainer received an AED for her school from the Peyton Walker Foundation based in Mechanicsburg PA.
We are partnering with the Penn State Health/ Lancaster Diabetes Center to offer a Diabetes Support Group and Educational Series. CPRS Physical Therapy continues to grow and provide quality care. We are excited to open an office in Duncannon and serve the local community and surrounding area, starting September 8th. We are excited to move our Halifax office to a NEW location starting Monday April 2, 2018. Do you suffer from Sciatic Pain? Check out our May Newsletter to learn more about Sciatic Pain! Relief is only a phone call away. 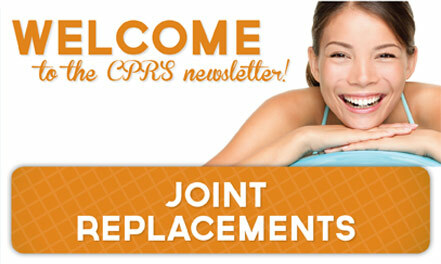 Contact your local CPRS for an appointment!